One of the great challenges we have with the Stone House is helping people understand how it has changed and developed from its initial construction in the mid-1760s to its present form that we see today. To help us visualize this architectural evolution, we are employing new digital technologies. Using CAD (computer-aided drafting) programs that are currently available, people can create virtual three-dimensional models that can be “explored” on a computer or video screen. These programs can also be used to create slide shows or even interactive animations that show a structure’s architectural development over time. As late as the 1990s and early 2000s the common way to document a structure like the Stone House was with carefully made, hand-produced drawings that captured the distinct measurements of each architectural feature. These drawings were sometimes created with the help of technologies called photogrammetry and rectified photography. Photogrammetry combines principles of photography and geometry in a method where scaled drawings can be made from photographic images. Rectified photography uses optical means to rectify and “correct” a photographic image so that one plane of the structure’s surface is recorded without distortion. These techniques used traditional emulsion photographic methods to create images of a structure’s flat facades and elevations. One limitation of these older methods is that they tend to work best when only one plane is being documented. More complex structures with multiple planes at various depths were not as easily documented. 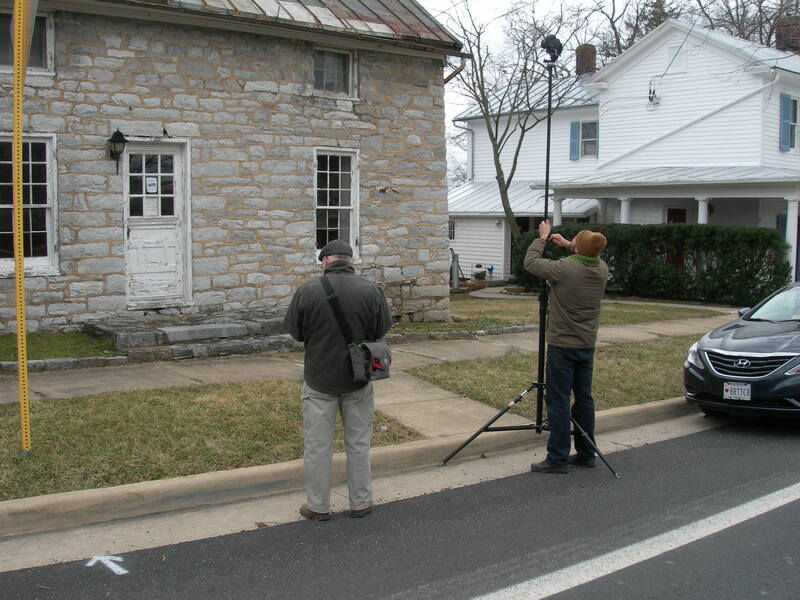 To document the Stone House with this new digital technology, we hired a specialist preservation photographer named Peter Aaslestad from Staunton, Virginia. On 28 February 2013 Mr. Aaslestad and his assistant photographed the entire Stone House structure using special cameras and equipment. From these photographs he generated hybrid drawings of the Stone House for us using specialized software and CAD technology. As Mr. Aaslestad explains on his website, “Hybrid Drawings are a mixture between measured line drawings, rectified photography, and 3-D point clouds.” They are the state-of-the-art method for documenting historic structures, and the data collected in these images can then be used by architects to draft plans for a building’s restoration. They can also be used to create slide shows or an interactive animation that illustrate a structure’s architectural development over time. 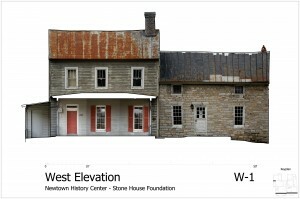 This is something we hope to be able to do in the future so that you can experience a visual presentation that explains what we have discovered about the history of the structural evolution of the Stone House.